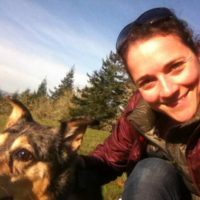 The Southeast Alaska Watershed Coalition was founded on the belief that communities equipped with the information, tools, and resources necessary to participate in the management of their local natural resources are empowered to develop more effective long-term solutions that take into account each community’s unique environmental, cultural, and economic values. This continues to be a core value and driving goal for the Coalition. SAWC’s Watershed Science Program works to ensure that the latest natural resource science and research is accessible to community based groups, and that new and ongoing science and research efforts are addressing community needs. Through the Watershed Science Program SAWC connects communities with scientific information, technical tools, and research networks; provides project-level management and technical support services for science-based efforts; identifies and addresses regional science needs that are ideally suited for implementing at the community level; and represents a collective voice for community watershed science programs and efforts across the region. SAWC partners with communities, tribes, NGOs, and agencies to develop projects that support collaborative and informed solutions to the natural resource management needs of Southeast Alaska’s communities. In Southeast Alaska, climate change is expected to affect stream temperatures as air temperatures warm and hydrologic patterns shift. 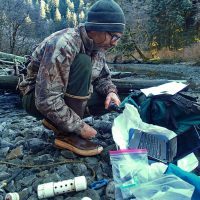 Understanding and anticipating these changes will be critical for predicting how salmon species and other aquatic resources be will affected by climate change. SAWC and our partners are working to build and support a network of entities collecting stream temperature data in Southeast Alaska, and to ensure that the data are useful and accessible to management agencies, researchers, and local community stakeholders. 2018 Restoration Workshop Presentations Available April 5, 2018 Presentations from the 2018 Southeast Alaska Watershed Restoration Workshop are now available on the Southeast Alaska Fish Habitat Partnership's webpage! If you were unable to attend or would like to review the material, please check out the posted presentations.